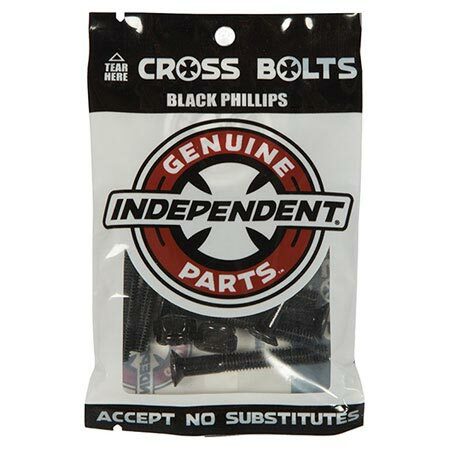 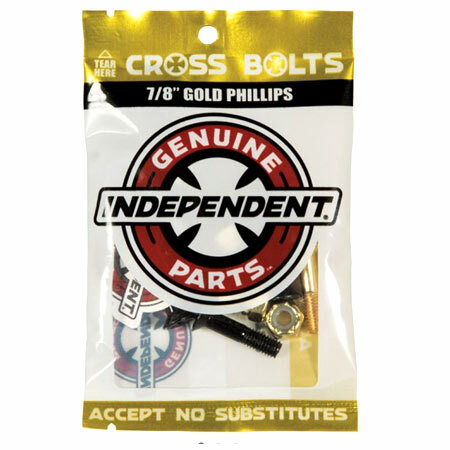 Independent Genuine Parts hardware is specified to the highest standards. 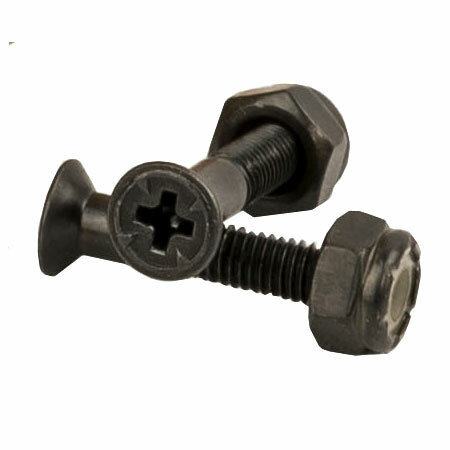 Each set contains 6 black bolts and 2 silver bolts. 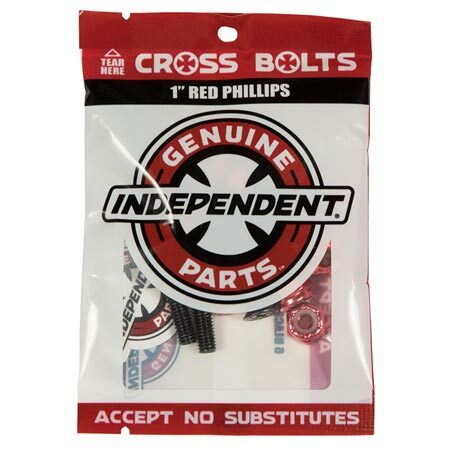 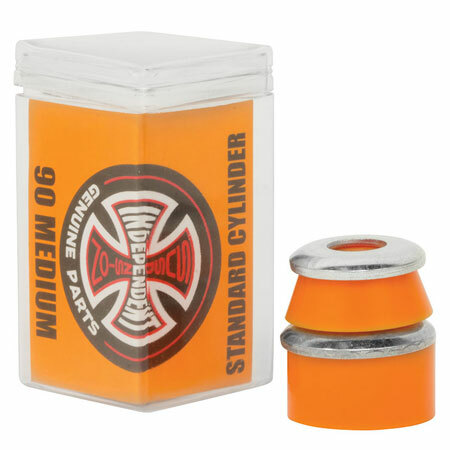 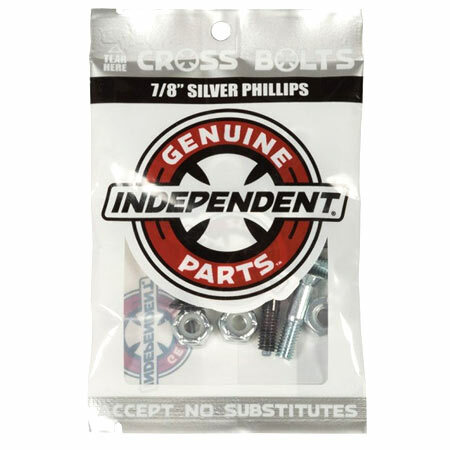 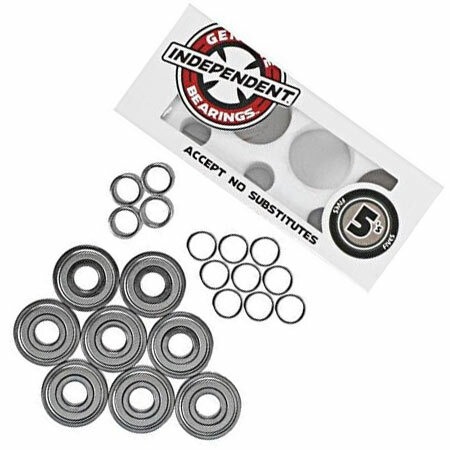 Genuine Parts Phillips hardware features cross logo heads, full size nylon lock nuts, full size bolt heads with Cross insignia, and extended unthreaded shafts for minimal board damage.